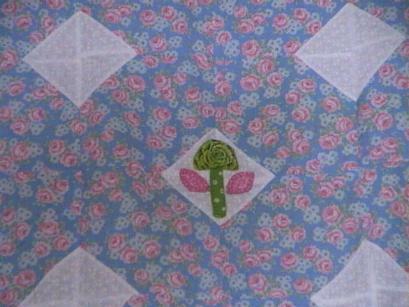 This is a beautiful NEW Pink, Blue and White ROSES Crib, Lap or Baby Appliqued Quilt Top that I made. It took OVER 5 hours to make this lovely top. The rose fabric is a sooooooooft flannel fabric. You have lots of wonderful roses. 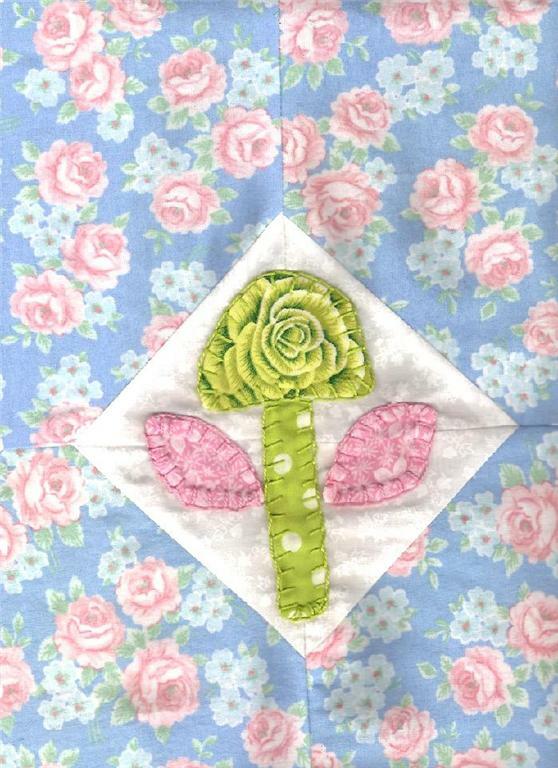 I hand appliqued a fussy cut rose in the center using the blanket stitch method of applique. 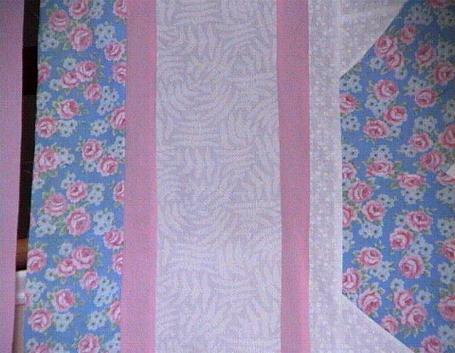 This quilt top has 5 borders; and FREE binding that you can cut and use as desired. 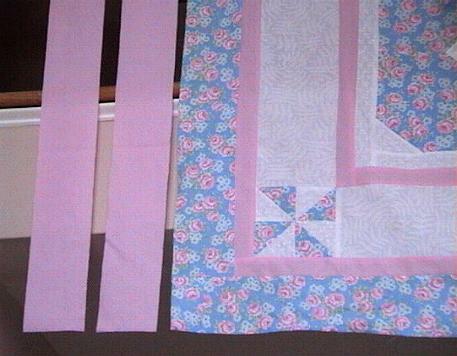 You have pretty roses in the pinwheel blocks on the border, and throughout the beautiful quilt top. Fabric are pre-washed, pre-shrunk. Fabrics are good quality 100% cotton.